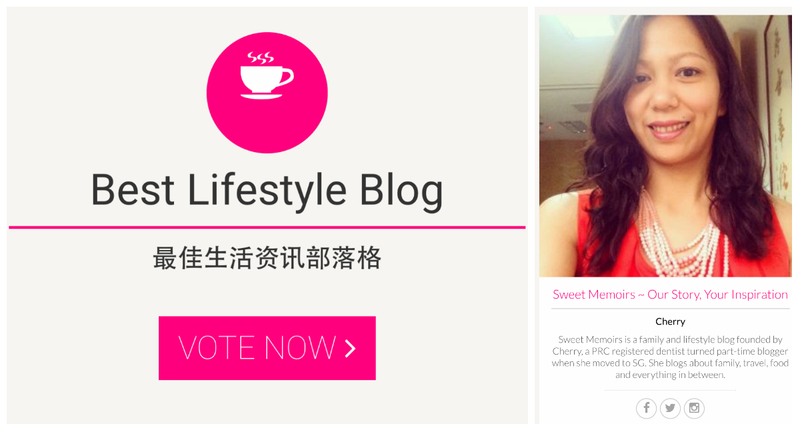 Cherry Berry : 5 Chinese New Year Goodies We Love: What Do They Symbolize? 5 Chinese New Year Goodies We Love: What Do They Symbolize? Every Chinese New Year (CNY), we are spoiled rotten with choices of the best CNY goodies in town. 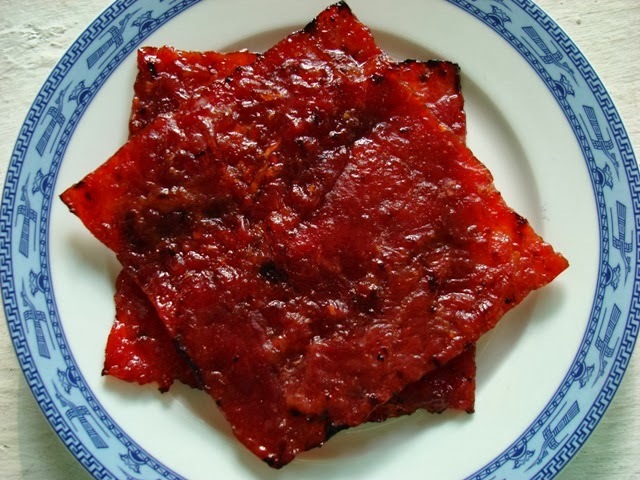 Bak kwa is a Chinese salty-sweet meat grilled over charcoal with smoky flavour. Once you pop, you will find it hard to stop! We now have our own Filipino version of bak kwa fried rice and the kids loved it! FYI: Pork symbolizes strength, wealth and abundant blessings. 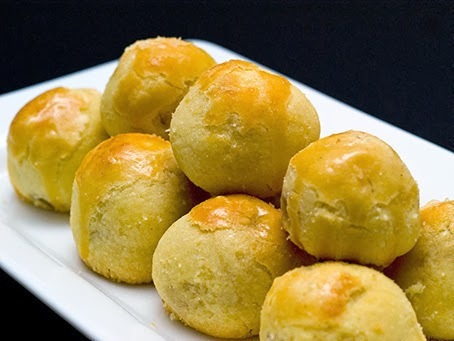 There are different types of pineapple tarts but our ultimate favourite are the golf-ball sized pineapple tarts. 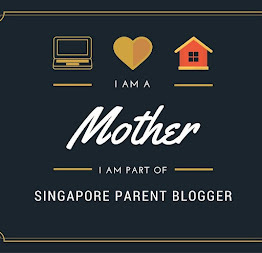 Considered as the "festive cookie", pineapple tarts are in abundance during CNY period. Pineapple symbolizes wealth, luck and excellent fortune. Love letter is a crispy thin wafer/biscuit roll with symbols embossed on them (hence they are called love letter). 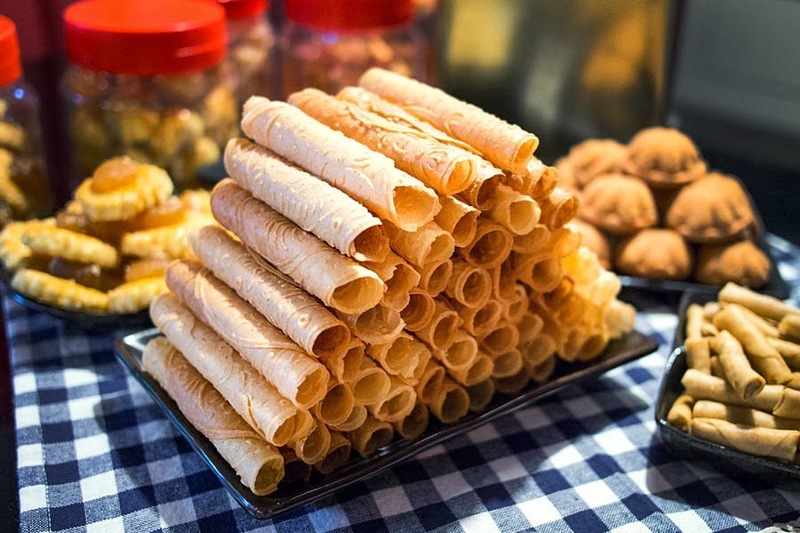 It is a traditional CNY cookies which is also known as Kueh Kapit. Sometimes, they also come in wedges. 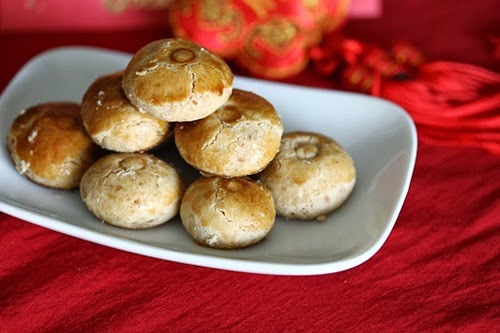 Peanut cookies symbolize health, longevity, birth of prosperity, continuous growth, multiplication of wealth and good fortune hence it is an indispensable CNY goodies. 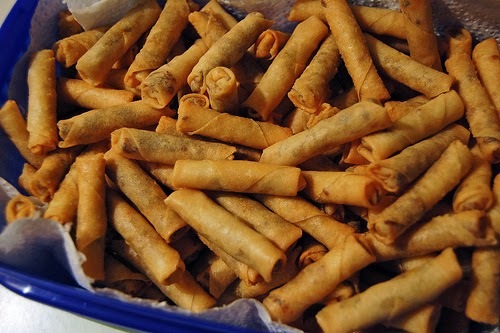 Prawn rolls are teeny tiny version of spring rolls made of dried shrimps and ground sambal chili. Prawn apparently symbolizes liveliness which make prawn rolls represent joy during CNY.